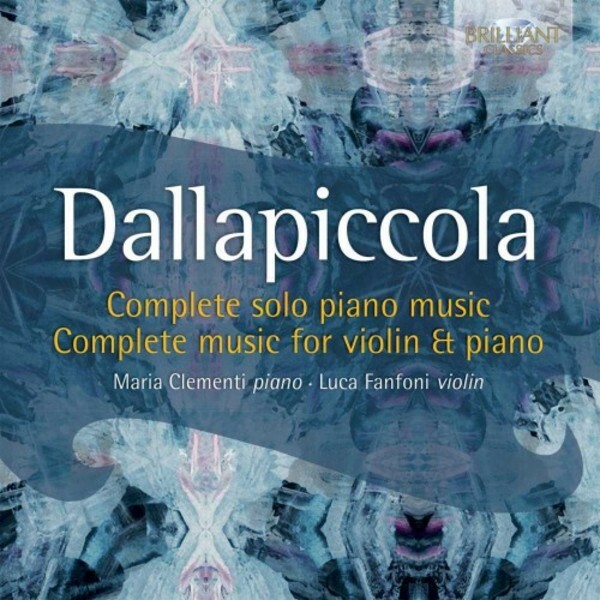 Luigi Dallapiccola (1904‐1975) was one of the most fascinating composers of 20th century Italy. Influenced in his youth by Wagner and Debussy, he later �converted� to the 12‐tone technique of the 2nd Viennese School. His works in this style feature strict forms (with hints of Neo Baroque counterpoint) and an expression of lyrical warmth and beauty (sometimes sorely missing in 12‐tone compositions by other, more severe masters). This new recording presents his complete output for solo piano and for the combination of violin and piano, in excellent performances by two leading Italian soloists: violinist Luca Fanfoni and pianist Maria Clementi, a duo which has already given concerts in the Leipzig Gewandhaus and Carnegie Hall New York. Includes notes on the music and artist biographies.